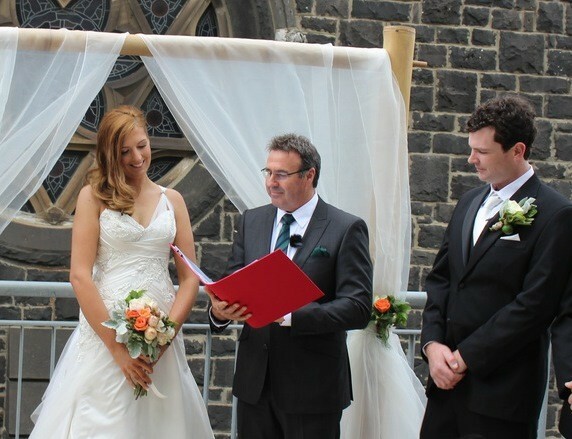 Mike Larkan as Your Wedding Celebrant is a name many in Melbourne are familiar with. 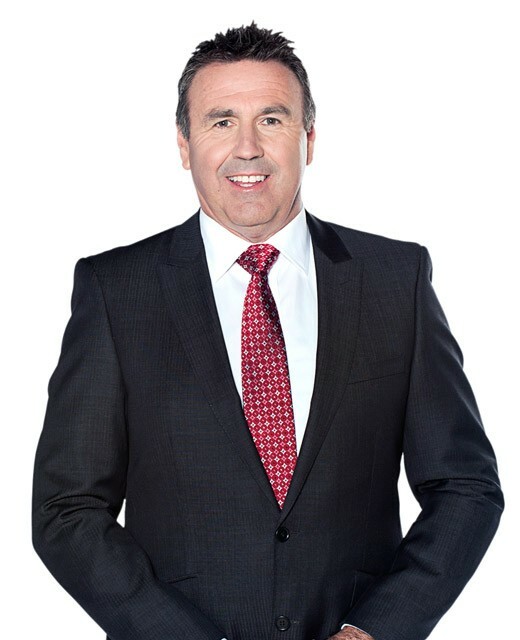 Over the years of his career, he has worked as a journalist, a weatherman for TEN News, and now, one of the best marriage celebrants in Melbourne. If you’re looking for a man with charm and charisma to spare, Mike Larkan’s your guy! Red Scooter has worked with Mike on a number of occasions and he has never failed to impress us with just how much fun he can be! Mike Larkan spent many of his teenager years strumming guitar strings in a wedding band, playing all those tunes you can’t help but love. He graduated to DJ in his 20s, and in his 30s he became one of the most popular marriage celebrants in the city. He serves as an Australia Day Ambassador, as well as ambassador to The Lost Dogs Home, the Melbourne Zoo, and the Variety Club. He is a keen supporter of numerous charitable organisations, and volunteers his time to a number of local causes. If you talked to any of the couples who chose Mike as their marriage celebrant, the words “charismatic” and “entertaining” would be used by all to describe him. Many people say he’s “fast on his feet”, always quick with a joke or a quip, easily handling technical issues and keeping the ceremonies running smoothly. 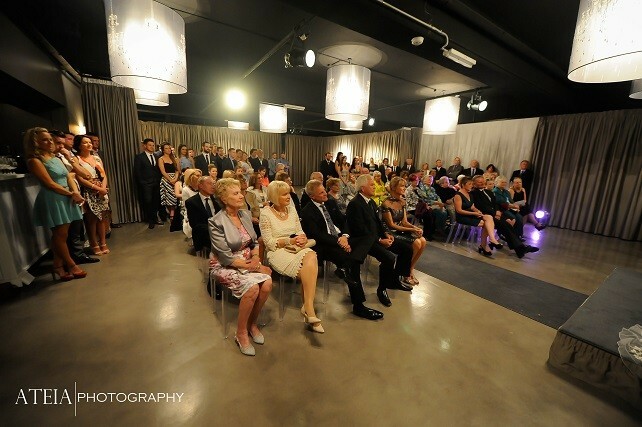 Mike Larkan doesn’t only officiate weddings, but he is a highly sought-after MC for awards ceremonies, charity events, balls, carols, fundraisers and corporate functions. He averages about 50 weddings per year and many more functions around the city. In our years of working with Mike, few have impressed us as much by their ability to roll with punches. From technical glitches to equipment malfunctions, Mike Larkan handles it all with grace. His ceremonies have none of the solemnity you’d expect at a wedding, but he can take a boring sermon or speech and use it to capture the attention of the audience. Another thing we like about Mike Larkan as Your Wedding Celebrant is the fact that he’s a genuinely great guy. He loves to meet new people and he always has a wise word or two to share with couples. As a married man and a father of two, he has a few years of experience under his belt. If you’re looking for Mike Larkan as Your Wedding Celebrant to officiate your marriage, we whole-heartedly recommend Mike Larkan. With his sense of humor, his genuine friendliness and his attention to detail, he’s a pleasure to work with. You’ll find that he can lighten the mood of your wedding and add that extra spice to your happy day!